By raise of hands, who’s ready for summer vacation? My hands are firmly down! I’ve got plenty of fun activities and things planned for the kids, but I’m just NOT ready for all the craziness that comes with this time of year, like swim lessons, extra play dates, family reunions, and sunscreening the kids, to mention a few of the time suckers. One thing I LOVE about summer, though…tomatoes! Seriously, they just seem better in the summer. 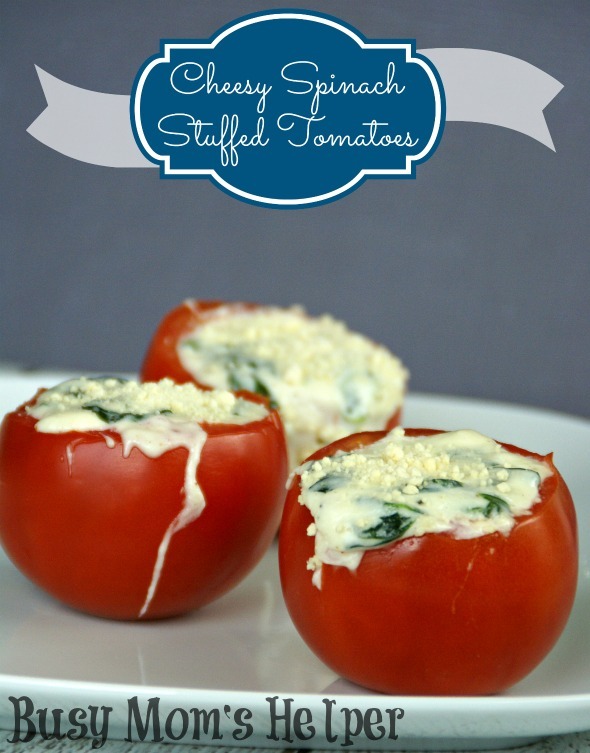 Here’s my recipe for Cheesy Spinach Stuffed Tomatoes to get you going with your summer yummy-ness! 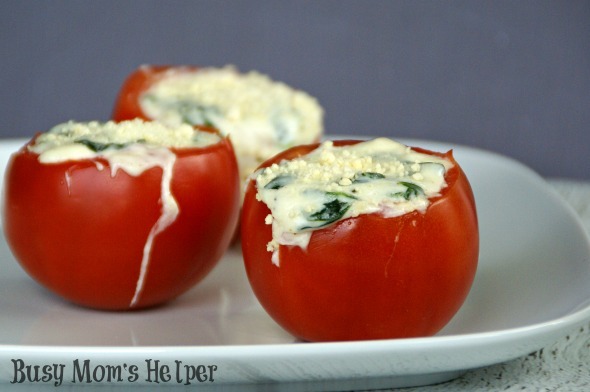 Especially if you have a garden producing some huge, juicy tomatoes, this would be PERFECT! 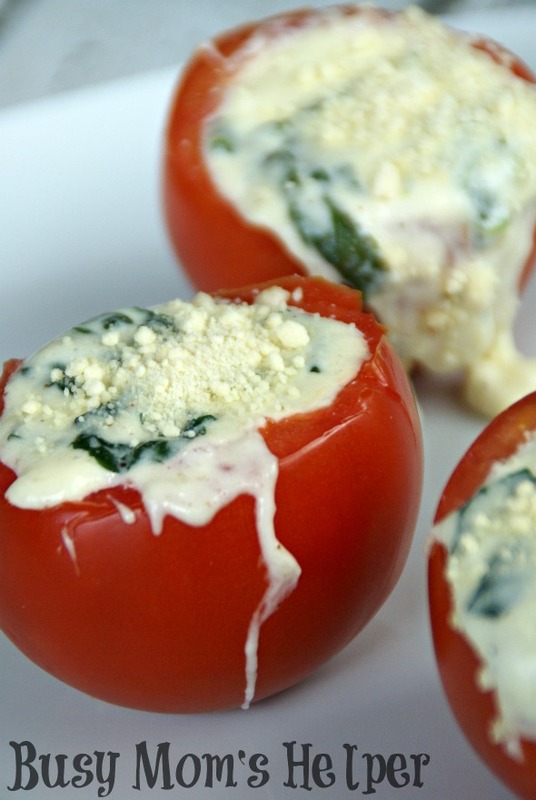 These turn out so gooey cheesy and full of flavorful goodness. My Hubby was seriously licking his plate clean, it was that good! Plus the smell….oh wow, it’s almost torture smelling the deliciousness while you’re cooking!